I have combination skin, where my t-zone is oily and my cheeks are extremely dry. Living in NYC didn’t help with that. 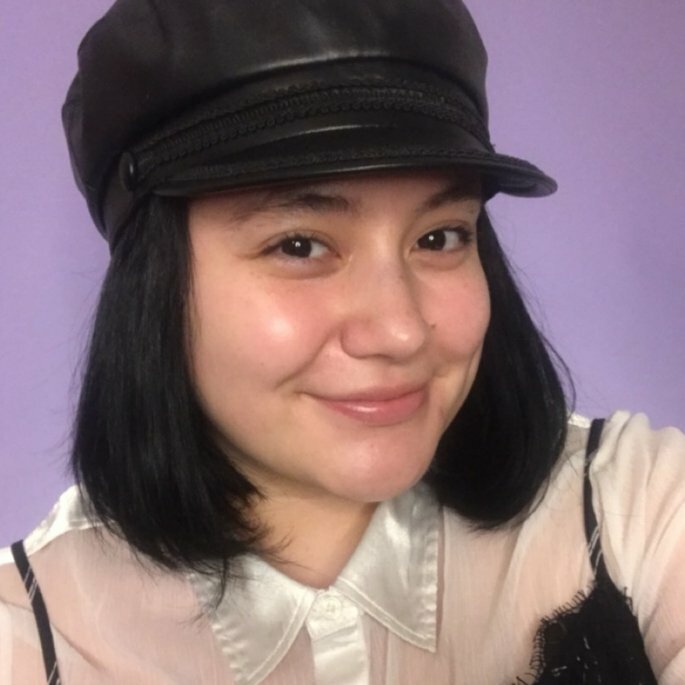 My cheeks flaked so much during my first winter living in the city. I’ve tried combatting this every winter since then. I’ve tried many, many moisturizers but here I am. 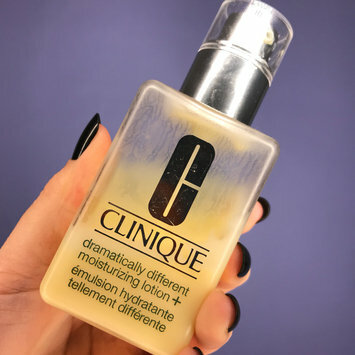 I had seen the Clinique Dramatically Different Moisturizing Lotion+ but never gave it a chance. That was until one of Sephora’s weekly 50% sales did I considered it. They had put a $27 three step regimen on sale, so I purchased this moisturizer for $13.50 with two other 1 oz products. What a great deal! Even if I didn’t purchase it with the sale, it’s a great deal nonetheless. I would highly advise this product for anyone with dry/combination skin, it’ll work wonders. I usually use it during the day, as that is when I venture out for class. With the seasons changing, I don’t need such a thick moisturizer but I’ll definitely come back to it during the colder months. Oh wow, okay, well. This was an extremely stupid purchase, but one that I don’t regret one bit. I had no intention of buying this when I walked into Sephora but it has truly changed my life. The Milk Makeup Face Gloss gives you the perfect blend of a naturally dewy look (depending where you place it) and a grungy, editorial look. I usually like placing it on my eyes and cheekbones. If I were to place it anywhere else, like my oily af t-zone for instance, I would look like a mess. This product looks great by itself or on top of an eyeshadow or highlight. It’s also great for colder, winter months when your face is flaking off. Great purchase, though the price could be less expensive. It currently details for $20 for .42 oz. They also have a “value size” coming in at $36 for 1 oz. Either way, I would recommend waiting for a sale at Sephora or using a student discount at Urban Outfitters. I love using this product and I would give it more stars if it weren’t for it price tag. 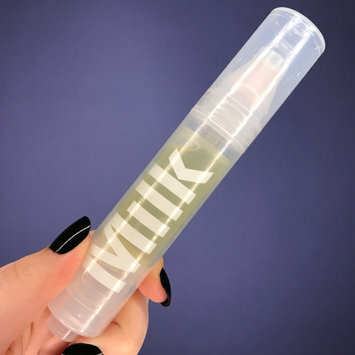 Coming in at $38 for .5 oz, the Milk Makeup Sunshine Oil pen is extremely overpriced. Do I love it though? Yes. I use it in my skincare routine every night. I like putting my eye cream on my under eye bags and spreading it with some of this oil, as I do find my upper cheeks extremely dry. It also means that I don’t have to pull on the extremely sensitive skin of my under eye bags. It’s a win-win. If you can’t afford it, just buy some Rosehip, Argan, or Jojoba oil from Amazon. You’ll get more product for your buck. Or wait for a sale at Sephora if you truly want to try it. I have very dark under eye circles and this does seem to make me look more alive. That said, it does cost $38 for .5 oz. 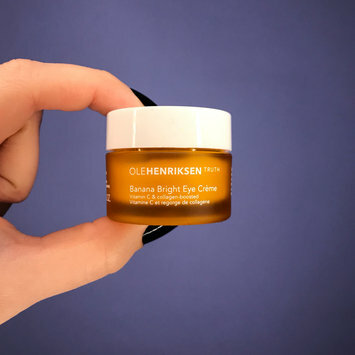 which puts it around a very similar price to other eye creams on the market. I use it both in the morning and at night for maximum effect as my insomnia can make me look half dead most of the time. Even if I don’t put makeup on, which I usually don’t if I’m going to class, my dark circles do look brighter. This product was inspired by banana powder and it lives up to the expectations. Now, I can’t say that I’ve seen a huge difference from before I used this product due to my erratic sleep schedule but it definitely works on a day to day basis. I really enjoy using the Milk Makeup Flex Concealer, and I bet I’d love it even more if it weren’t for the price tag. 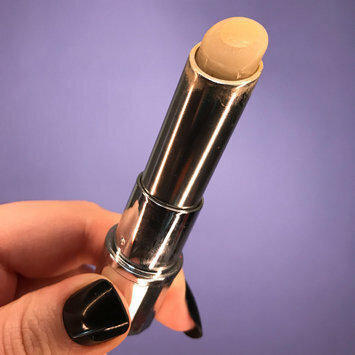 This concealer comes in at $28 for .2 oz. Now, I’d have never purchase it if I didn’t get 50% off. I’m glad I did tho because it’s an amazing product. But is it worth $28? Nope. Not👏at👏all👏 The coverage ranges from medium to full, and I would say it’s meant to go hand-in-hand with their Blur Liquid Matte Foundation. It’s great at covering my dark circles and red areas around my nose/mouth. You don’t even need that much product to conceal completely. You need a dot of the product and you should be good to blend away with a makeup sponge. Overall, while I enjoy the product, I don’t enjoy the price tag. So, I would highly recommend waiting for a sale or splurge if you have the $$$. I sparingly use concealer but in those instances I do go the extra mile, I use the Benefit Cosmetics Fake Up Concealer. Yes, they’ve since remodeled the packaging but hopefully they kept the old formula. This is a fantastic concealer that doesn’t look caked on. It’s also incredibly hydrating for the under eye area and rarely creases. I have extremely dark eyes as well from long nights due to insomnia so my dark circles have always been a big thing for me. This concealer was great because it was easy to apply and blend out and still look as natural as ever! I’d have definitely recommended this product before they reinvented the package so I’ll give Benefit the benefit (ha! Get it?) of the doubt and purchase the newer edition. Having combination skin, my feelings for my t-zone have always been a roller coaster ride. I’m currently embracing the shine/dew/glow (more like oil lol), but that is not always the case. Sometimes I’m very self-conscious about it and the Milk Makeup Blur Stick gives me a boost of confidence. It glides on the skin and leaves you looking pore less! The formula is silicone-free so it won’t clog your pores. It’s just an amazing little product that creates a perfect canvas regardless if you’ll makeup on. I sometimes just put some on t-zone and go about life. I would definitely recommend the full size of this stick which is $36 for 1 oz instead of the mini size which is $14 for .19 oz. If you will use this on a daily basis, go for the full size. 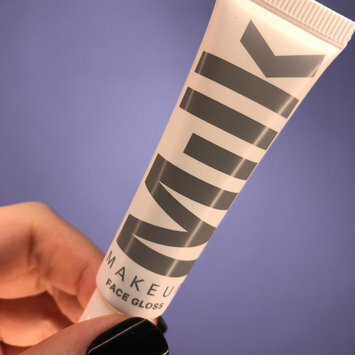 I have multiple Milk Makeup sticks and this is the one that I use the most, and you can tell from my other sticks that I only use occasionally. 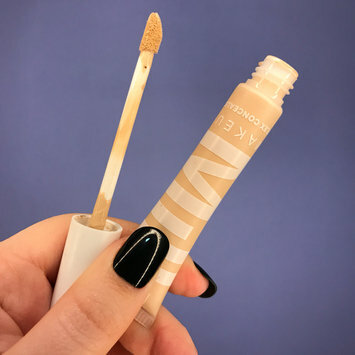 If you’re a college student, you could buy this stick and other Milk Makeup with 10% at Urban Outfitters. And if you time your purchase right, you could get up to 50% off. So go ahead and buy it! It’ll make a difference you won’t regret! I’m so glad I found this product! Son & Park’s Beauty Water is a great toner/makeup remover. Even tho the main purpose of this product is toning the skin, it can double as a cleansing water. Just don’t expect this to take off your waterproof mascara or a full beat face. More like it’ll get any leftover makeup and impurities after your first cleanse. You can use it in the morning before doing your makeup or at night to tone/exfoliate. You could also use it midday to refresh and hydrate the skin. While yes, it does cost $30, you are getting 11.49 fl oz. I had one bottle that lasted me almost a year so it’s definitely worth the one time splurge. You can also get $$$ with coupons on SokoGlam or Sephora, which is the way I bought my second bottle with 15% off. Will definitely keep this product in my beauty routine. Milk Makeup Blur Liquid Matte Foundation is lightweight, easy to blend (with your fingers or a sponge), and it does blur any pores you have. I loved the blur stick primer so I definitely wanted to try this out even tho I don’t wear foundation every day. I’m so glad I did tho! This foundation is “full” coverage for Milk Makeup’s standards as it does cover more than the Milk Makeup Sunshine Skin Tint. It retails for $40 but I purchased mine for $19 at Urban Outfitters. I have combination skin so I have a pretty oily T-zone so I definitely focus this foundation there. I also like using it to cover any under-eye darkness and redness around my nose and mouth. As per usual for Milk Makeup products, it’s vegan, silicone-free, talc-free, gluten-free, and cruelty-free! The shade range is better than the sunshine skin tint at 16 shades (compared to the 8 shades for the skin tint) but that is still a very limited amount. I would not have purchased this if I didn’t get a pretty big discount on it but it’s still a great product. So, y’all should definitely try it if it’s on sale or you have a coupon code!